Check out these pictures a customer sent to us of their SandRail loaded inside their 17ft toy hauler! You can also view his original pictures on Photobucket. 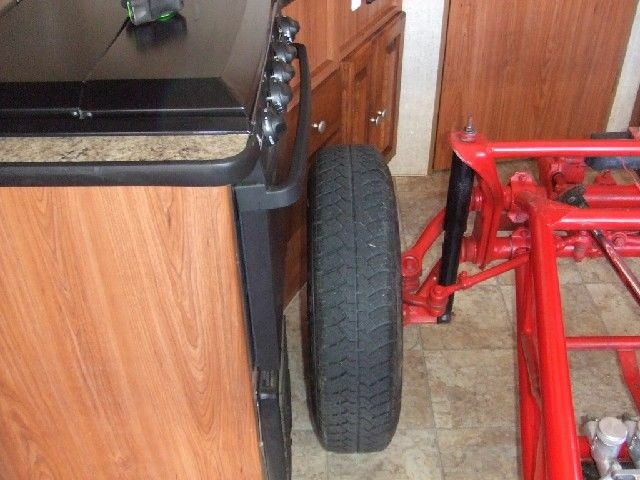 Even with the wheels straight, the front of the sand rail fits snugly in the kitchen. 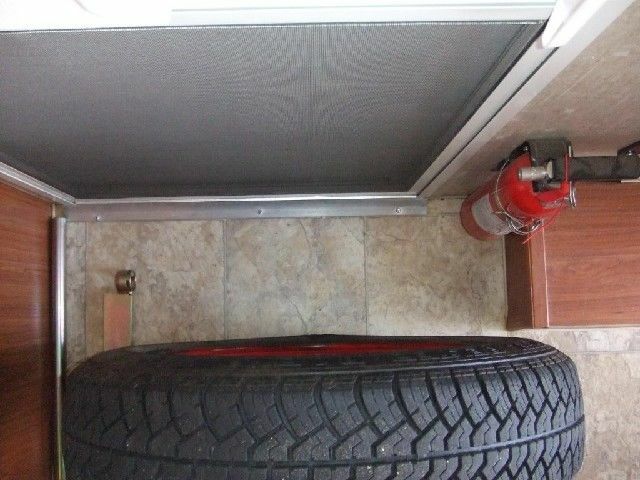 This 17ft is a wide-body, allowing the front axle to fit easily between the wheel wells. The rear axle is slightly wider than the rear axle, but still fits perfectly in the back area. The rear tire ends just before the folded-up furniture starts. 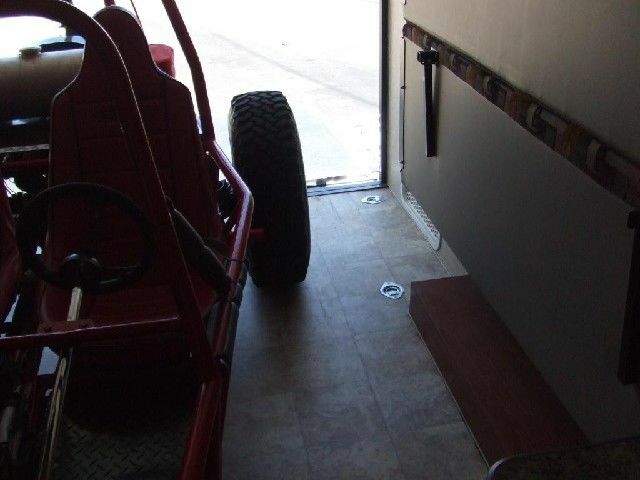 Plenty of room on the driver-side (the sand rail is slightly angled towards the passengers-side to fit inside the kitchen area). 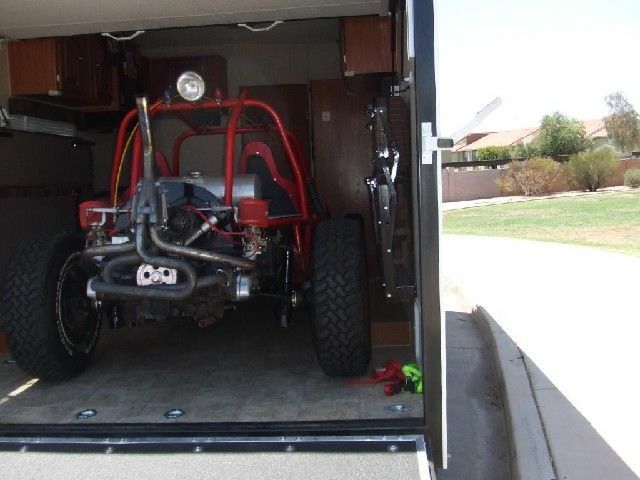 A view from the rear - showing the sand rail completely inside the small toy hauler. Another view from the rear - with room to spare for luggage! 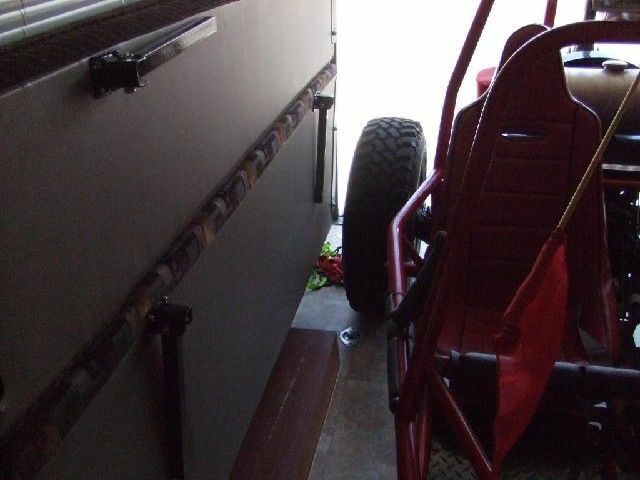 A veiw from the back drivers-side corner of the toy hauler - showing the front of the buggy in the kitchen area. 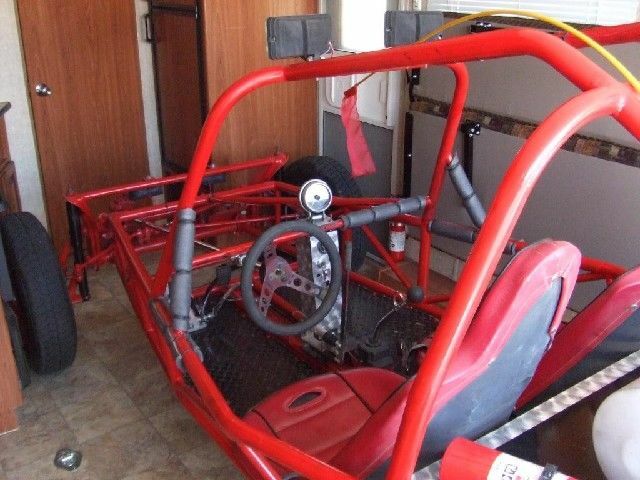 A view from the back - showing the sandrail fit completely inside with no problems! 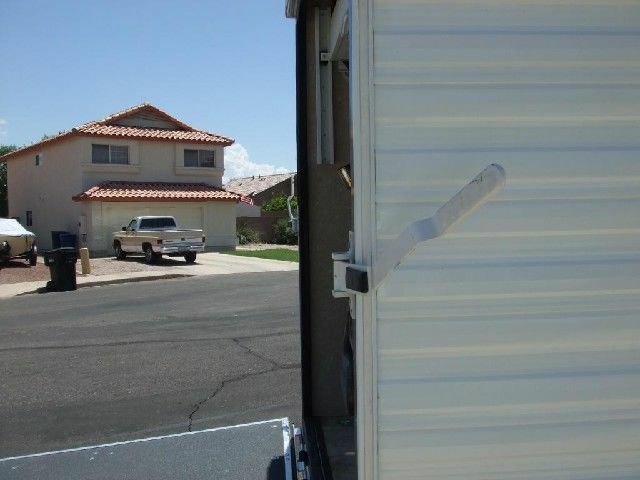 PLEASE NOTE: Please make sure your cargo is going to FIT inside your toy hauler before purchasing! This was a 17ft AG Toy Hauler, and it fits this VW buggy just right. 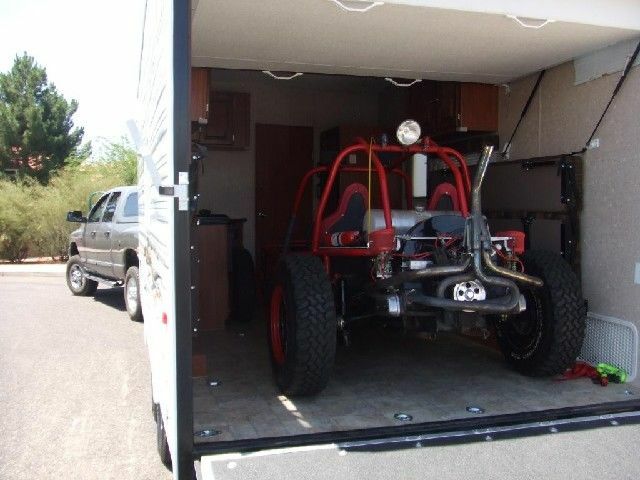 Build yours online or ask a Dune Sport representative to help you find a toy hauler that fits your toys!